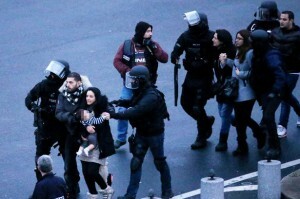 Even though the Western World got shaken by the horrible incident in Paris, it is far from being an isolated act of terrorism. A report published exactly a year back confirms the dreaded fact that terrorism has never been subsided, on the contrary, it kept on rising over the years. According to the report by Global Terrorism Index, the death-toll has increased in leaps and bounds over the past 14 years, from 3,361 in 2000 to 11,133 in 2012 and 17,958 in 2013. Almost 18,000 deaths in 2014, a jump of about 60% compared to 2013. 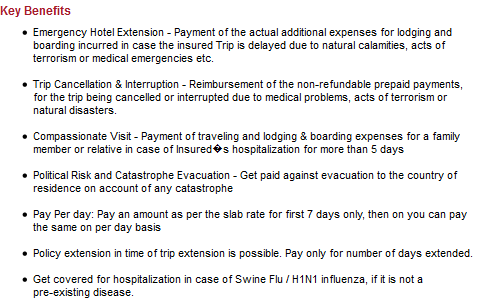 In the aftermath of Paris disaster, India’s insurance experts foresee a rise in the demand for travel insurance. International tourists that aspire to travel across the world will definitely realize the importance of having a travel cover, even in countries where travel insurance is not mandated yet. A travel policy not only offers financial cover to terror-stricken travelers but also the much-needed peace of mind that vacationers need in such volatile situations. If you are a frequent traveler, especially to foreign countries, you must be considering a travel plan by now, if you don’t have one already. You can opt for policies that cover these risks or you can opt for high-end travel plans with extended coverage. 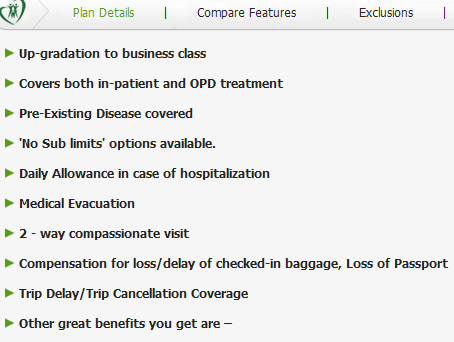 To make your job of finding a suitable travel insurance policy in India easier, I have come up with a list of top 5 travel insurance policies in India, arranged in the ascending order of premium. The list is made from the perspective of a 33 year old person. The chosen sun insured is $50000 and duration is 10 days. The chosen destination is worldwide including USA or Canada. All of the above-mentioned travel covers are well-equipped with terrorism related risks. However, some plans are standout when it comes to providing additional coverage. Suppose you are on a trip to UK and you are forced to stay in that country for longer than you have planned to, there are travel insurance plans in place that will cover your extended stay. ICICI Lombard International travel policy is one such plan. Have a look at the set of major benefits. So, your job of staying protected through a travel insurance policy is almost done. Once you finalize a travel policy you need to read the policy documents thoroughly before signing. Some travel insurers like Tata-AIG categorically excluded terrorism related risks. Furthermore, if you violate safety regulations or visit a country which is under terrorism threat and suffer injuries consequently your claim might not be approved. 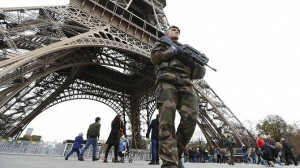 Medical emergencies arising out of terrorism can be fatal. If you get injured due to terror attack or for any reason in a foreign city you have to shell out a lump sum to pay for the treatment. But, if you are armed with a health plan your medical expenses will be covered. A regular health policy covers the ambulance expenses and costs incurred due to pre and post-hospitalization. In earlier times, medical emergencies are covered only in India. Now, policyholders like you can enjoy the facility in abroad as well. Some high-end health plans not only cover medical emergencies all over the world but also offer air ambulance facility as a part of their medical evacuation program. 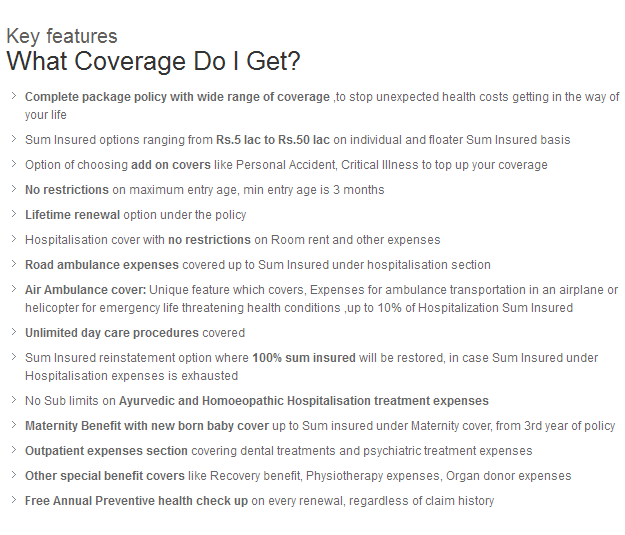 The Health Care Supreme by Bajaj Allianz is one such plan with extensive coverage. Here are some key benefits of availing this plan. Max Bupa’s ‘Platinum’ variant also provides the facility of Emergency Medical Evacuation and Medical Expenses incurred on Hospitalization outside India, but only within specified regions. However, if you fall prey to terrorism and suffer from permanent or temporary disability your health plan will be of no use. A personal accident plan is therefore crucial. You can also opt for the Bajaj Allianz personal accident policy. God forbid, if you are a victim of terrorist attack you would be eligible for claims. While all the insurance plans mentioned above are well-equipped to cover an individual from terrorism, you should also consider keeping your household protected from such untoward event. 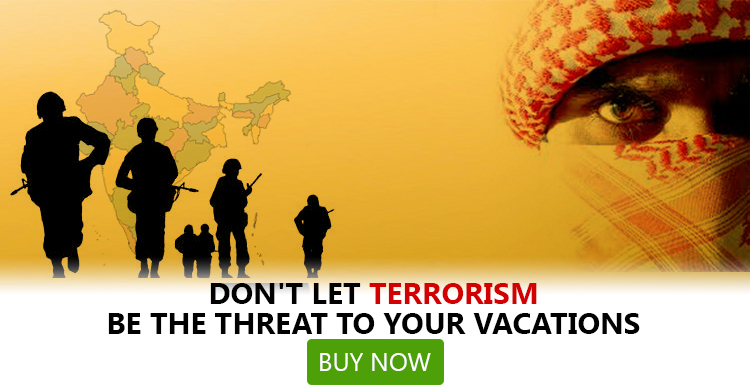 Home insurance plans, therefore, come handy as they come with add-on covers that offer coverage for terrorism. While most home insurance policies offer protection against acts of terrorism if insured people opt for an add-on cover by paying more on premium, there is one insurer that comes with terrorism cover as an in-built feature. New India Assurance is the insurer and the insurer cover terrorism under its coverage for fire and allied perils. Let’s have a look at the list of benefits. You need not to scour all insurance companies’ portal to find a home policy with coverage for terrorism. 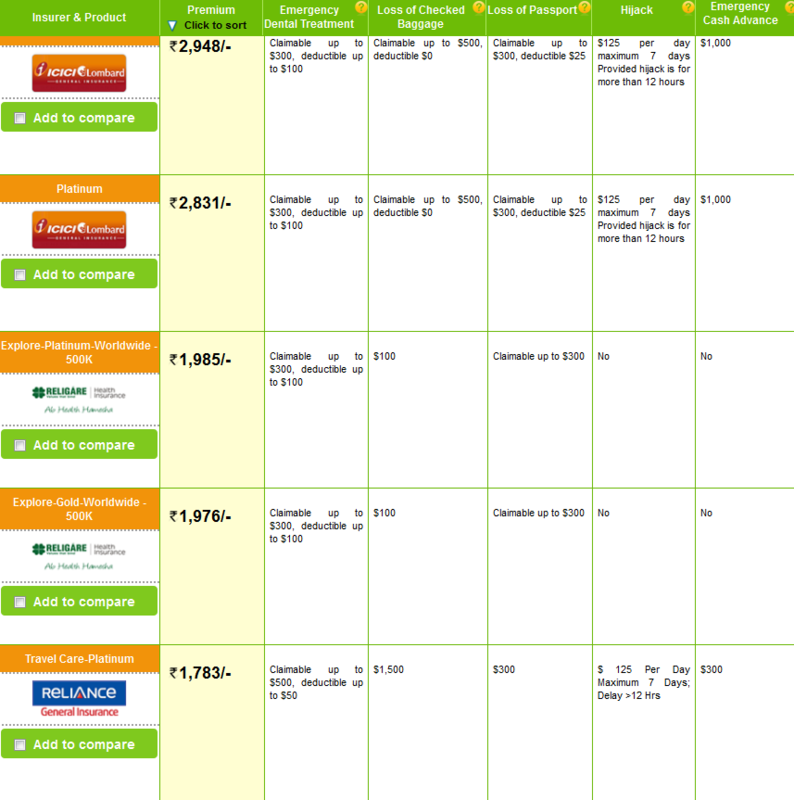 Instead, you can check the portal of GIBL, one of the best online insurance comparison portals. You just need to choose the cover for terrorism and mention the worth of your building. You will be provided with a list of home insurance policies to select from. Moreover, you can also seek cover from earthquake. It is not only the mortality rate that has increased due to terrorism over the years; the notorious activity is now prevalent in more countries. 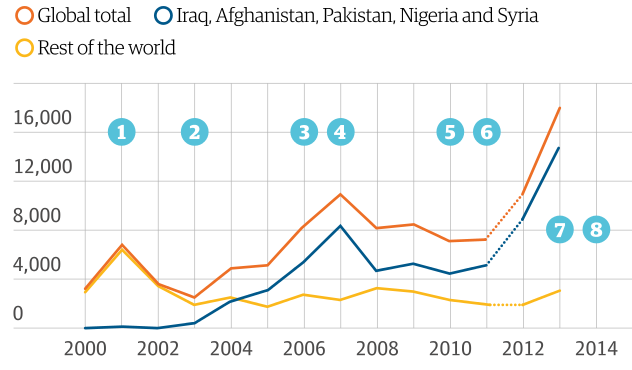 Total number of countries with death-toll of over 50 rose to 24 in 2013. In 2008, the number of countries was 19. Furthermore, thirteen countries in the likes of Angola, Bangladesh, Burundi, Central African Republic, Ivory Coast, Ethiopia, Iran, Israel, Mali, Mexico, Burma, Sri Lanka and Uganda are at risk of increased terrorist activity according to a recently published survey. Where will you go if you are uninsured? Seems like there is no country for people without insurance! Aside from this list, many sought-after tourist destinations are under the threat of terrorism now. 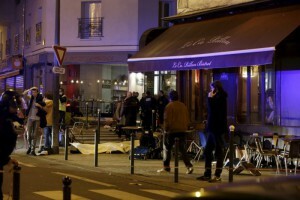 Who ever dreamt that a peaceful city like Paris would be devastated by terror attack? You never know which country awaits the next strike. While your anger, frustration and concern are all justified, it is also the high time to evaluate insurance policies to secure the future of your family in your absence. Since the magnitude of risk is enormous, you should avail adequate insurance to provide financially for your dependants. When you identify the policies that can cover your liabilities and assets and ensure total protection for your family, you need to settle with the right amount of cover. Ideally, your cover should be at least 10 times of your yearly expenditure. You should review the cover in every 3-4 years and upgrade the existing cover if needed. In the wake of Paris attack, an increasing number of insurance seekers in India are already on the lookout for comprehensive policies. You should keep a close eye on the fine prints to have a clear idea about both coverage and exclusions. You can resort to portals like GIBL to compare various plans and avail the best one at the lowest price.